The organised office cabinet The cabinet as wall, as room divider or in front of the wall. Room-high or door-high. From wall to wall or as single cabinet. Endless possibilities for your storage space. 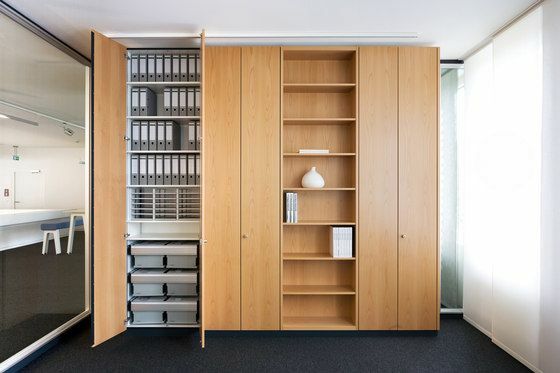 Whether wardrobe or row of files, whether suspended filing or pedant folders, whether tray with small compartments or drawer – everything is perfectly organised. And should your requirements and needs change, the internal organisation simply changes as well.